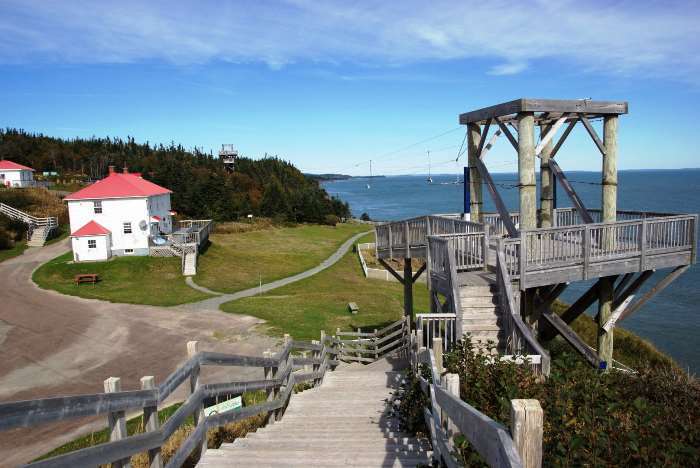 Cape Enrage is a beautiful spot on the Bay of Fundy coastline, complete with a nice little lighthouse, some scenic viewpoints, a zipline attraction, and a restaurant. But with that name, I felt like I needed to get angry about something. 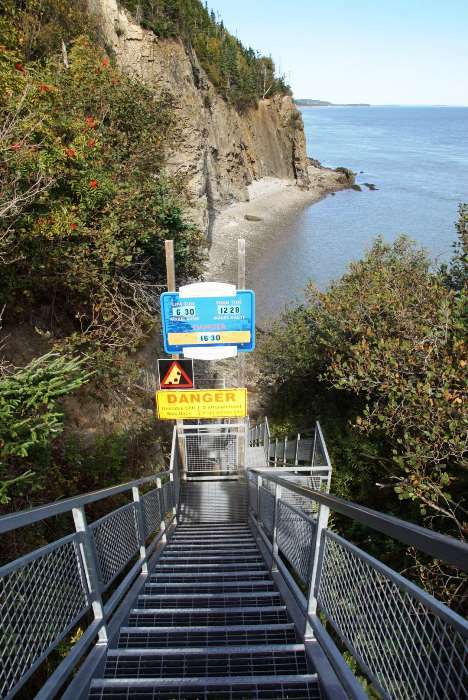 So, here’s everything about Cape Enrage that will fill you with rage! 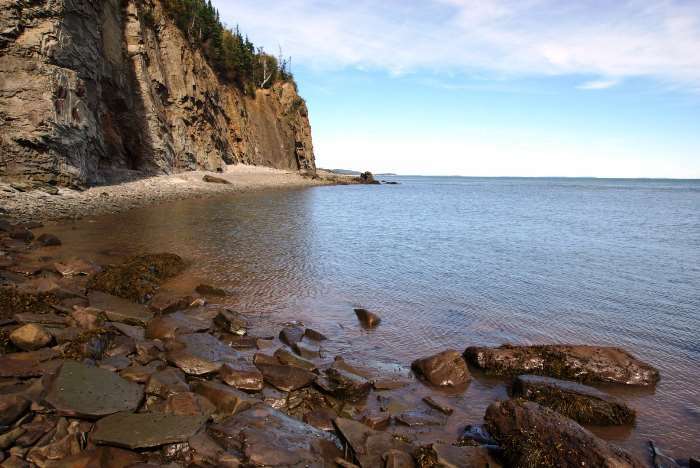 Cape Enrage is located due-east of Alma, New Brunswick. 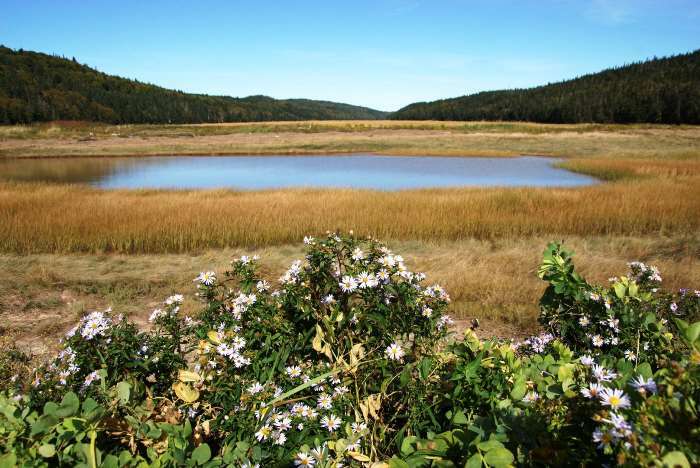 From Alma, take Route 114 to Scenic Route 915, then turn on Cape Enrage Road. Ugh, that’s so many different roads, it makes me furious! Why can’t it be closer?! … and on the other side of the road, a nature preserve, which I assume floods when the tide comes in. This area does, after all, have some of the highest tides on earth. Beyond this area, you drive up the hill and onto the cape itself. Once you’re there, you’ll have to pay an admission fee of $6. What? Six Dollars! That’s outrageous! But then I realized that it’s six Canadian dollars, which was only about $4 in U.S. currency, and that’s not so bad. 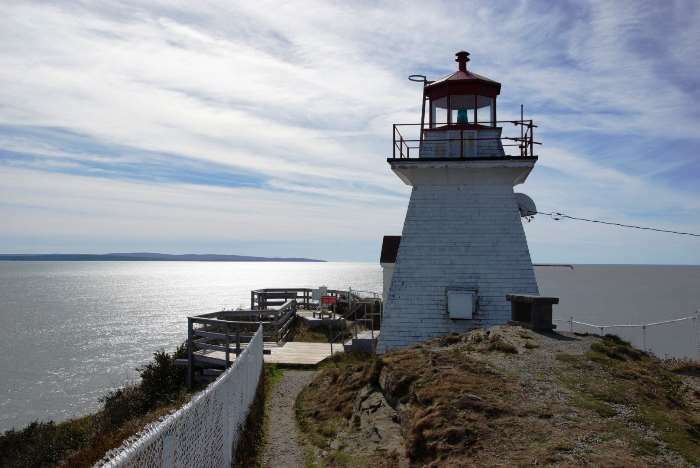 The star attraction at Cape Enrage is the lighthouse, which is located on a bluff above the Bay of Fundy. A short trail leads out to the lighthouse… and you can walk around it, but not into it. I can’t go into it? Oooh, that makes me mad! Not to mention, it’s a pretty small lighthouse. What, they couldn’t have built a bigger lighthouse? Were they just lazy? I’m so angry. 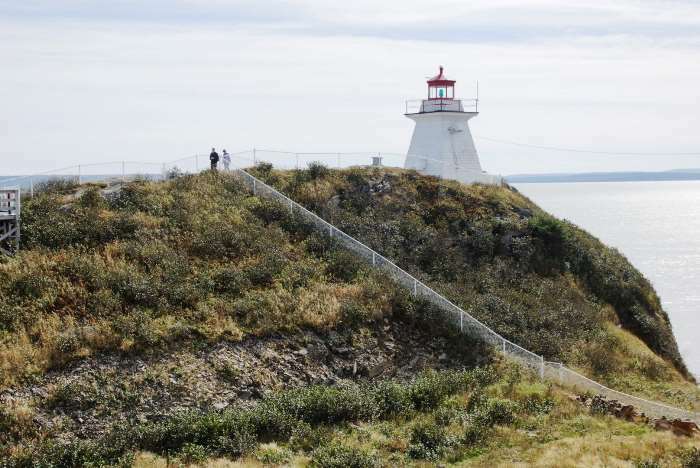 The current Cape Enrage lighthouse was built around 1870. A previous lighthouse was built on this spot around 1840. The current lighthouse had a revolving white light up until 1999, when it was replaced by a solid green light. Next to the lighthouse, at the end of the path, there’s a deck that provides a nice view towards the east, south, and west. 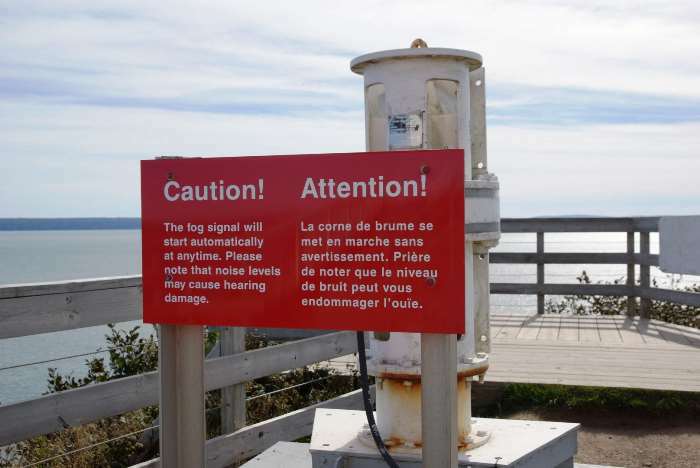 There’s also a foghorn here, along with a sign that warns you that it’s really loud. Of course, I didn’t get to hear the foghorn because it wasn’t foggy. This visit just gets worse and worse. On the way up the hill to the lighthouse, you’ll pass by this platform. 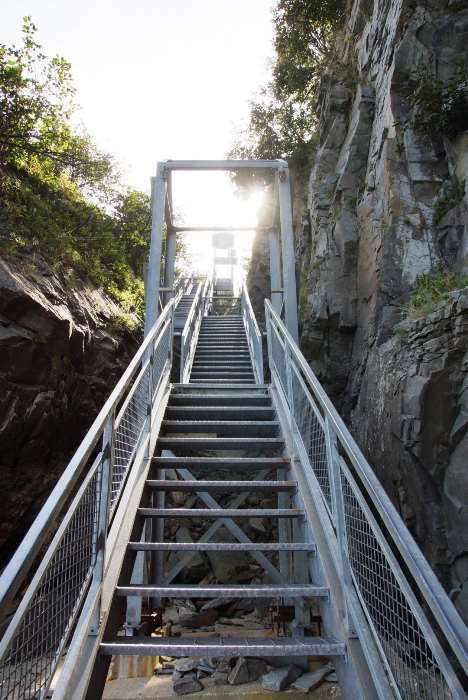 It’s a starting point for Cape Enrage’s zipline and rappelling attraction. But did anyone ask me if I wanted to go for a zipline ride? NO! Beyond the zipline platform, you’ll notice a white house. It’s home to the Cape House restaurant. Yeah, like I’d pay an admission fee to eat at a restaurant! Oh wait, when you make a dinner reservation, the entrance fee is waived. Guess I can’t get angry about that. Walk on up the cape, beyond the restaurant, and you’ll find something to really get enraged about. Look at all of these steps you have to walk down, to get to the beach! 94 of them, if I remember correctly. And get this, you also have to walk UP the steps! Enrageous! It was pretty close to low tide when I visited, so I was able to walk out onto the beach. During high tide, the water level will be much higher. Signs on the staircase warn you when the tide will come in. You don’t want to be caught down the beach, and around that corner, when the water level rises — you’ll have to do some swimming to get back to the stairs. Once I was thoroughly enraged by everything I had seen and done at Cape Enrage, I got back on the road, and headed towards the famous Hopewell Rocks, which are located about 45 minutes away. Thankfully, I had enough time to get there before the tide rolled in. 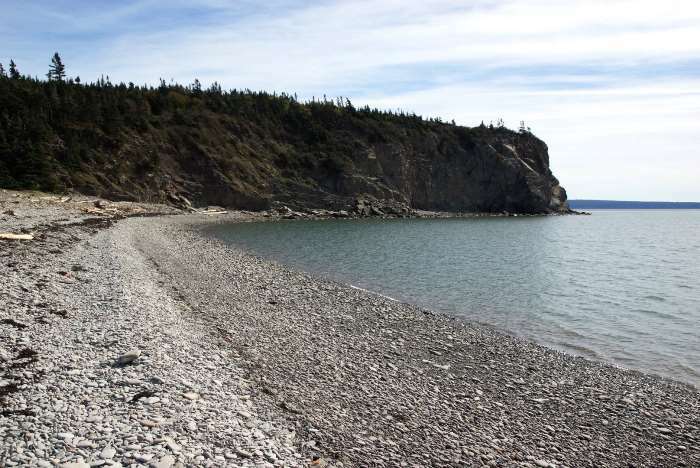 The drive out to Cape Enrage is a nice detour from the scenic route up the Fundy Coast. 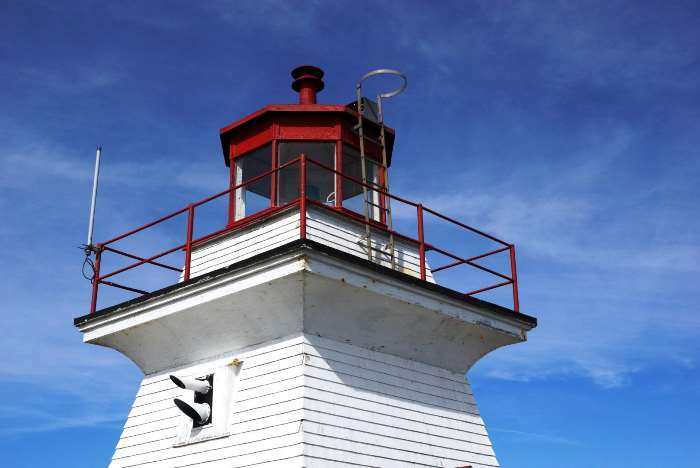 You’ll get to see a lighthouse, some nice views of the Bay of Fundy, and a beach that may or may not be flooded by the dramatically high tides. You can also turn your visit into a bigger event with ziplining, rappelling, or a nice dinner in the restaurant.